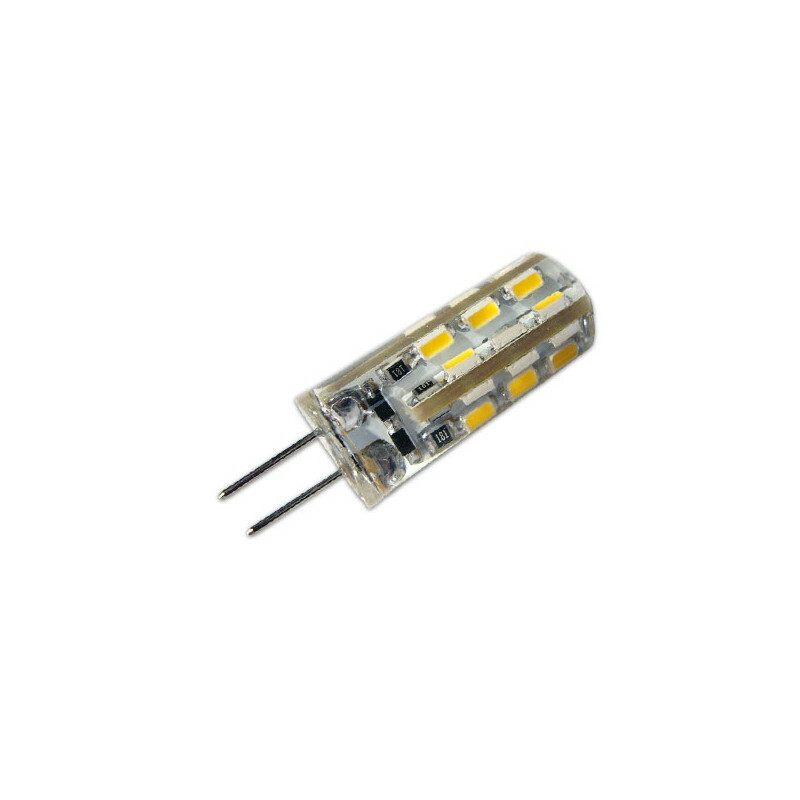 Bi-pin 4W G4 Bulb, cool white light and warm white light, with 320 lumens, bi-pin G4 LED bulbs are G4 halogen replacements. DC12V Input voltage. These bulbs tend to be used to lighten small spaces, such as lamps, boats, caravans, reading lamps, etc. G4 LED bulbs have a much longer lifespan than conventional light bulbs, with 90% energy savings, up to 10 times more. Replacing your halogen bi-pin bulb with an LED bulb is as easy as simply swapping one bulb for the other one.